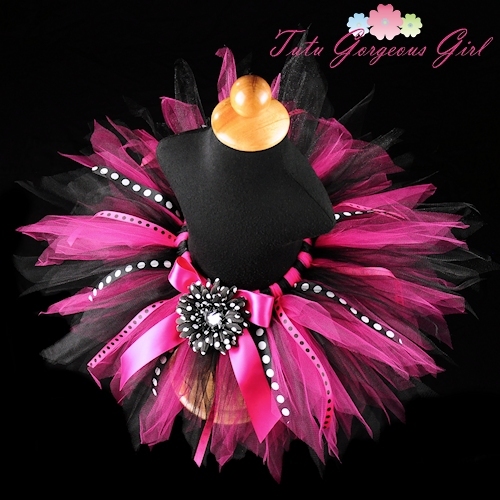 Baby, girls hot pink and black birthday diva tutu with polka dot ribbon streamers. The Diva Party tutu is stunning in black and hot pink tulle and polka dot ribbons. 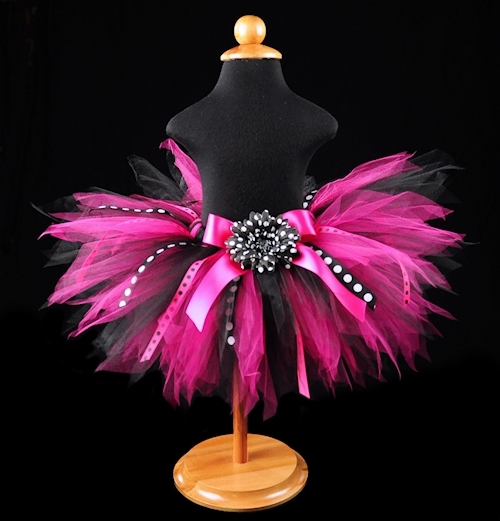 This tutu makes a perfect diva birthday tutu, rock star Halloween tutu or photo prop. Tutu includes a satin bow at the waist and optional polka dot flower clip. *Ribbon streamers shown in the photos are discontinued. New, cuter ribbons in the same colors will be provided instead.